With Discovery Litigation Services you can quickly schedule a deposition and book your Montana Court Reporter right now. Just click “Schedule a deposition” and relax knowing you have over 20 years of court reporting experience on your side. 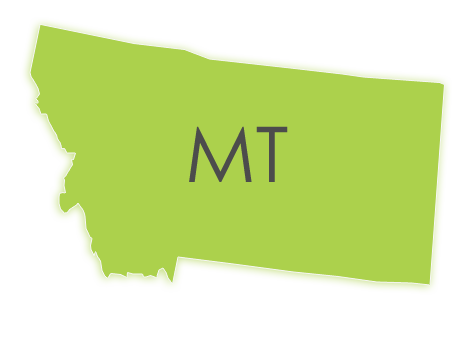 With Discovery’s video enabled streaming solution, your Montana court reporter will always be available on time anywhere in the state of Montana. Our extensive network of experienced professionals ensures you will receive the most qualified court stenographer to suit your needs. Finding a professional, prompt, and accurate court reporter should never be an issue. You have more than enough to worry about, and the quality of your legal services professional should never be a concern. Discovery Litigation Services provides a higher standard of expertise, and an unrivaled commitment to your satisfaction with tools, resources, and customizable packages just clicks away. With Discovery Litigation Services, it just works. Whether you’ve decided to book your court reporter with Discovery or you are bringing in an outside hire, we can bolster your case with a host of full-service, comprehensive solutions. Discovery Litigation Services legal videographers deliver solutions that produce a more accurate and useable video. Employing advanced video tools and techniques, we bring trial technologies into the deposition arena. With Discover Litigation Services you will have no problem Highlighting and annotating documents on-the-fly during a deposition. Easily play back videos or computer animations to the deponent. All of which is recorded in concert with picture-in-picture technology that clearly depicts the deponent and the demonstrative evidence of your choosing. This results in an engaging video deliverable that supersedes traditional video presentation. Utilizing our picture-in-picture solution in tandem with Discovery’s streaming capabilities, a remote viewer has the option to monitor the proceedings from anywhere in the world while simultaneously seeing the documents and multimedia shared with the deponent. We have several streaming platforms to choose from that best fit your budget and deposition requirements. Discovery Litigation Services offers a unique approach to corporate services, our solutions will save you money while providing a higher level of service. We expect more from litigation services and so should you Discovery’s Corporate Services utilizing online real-time reporting and up-to-the-minute deposition cost analytics. We guarantee transparent invoicing through electronic billing solutions to guarantee you don't overspend on products you don't need or want. Discovery Litigation Services works in close coordination with your legal representatives to ensure all needs are satisfied. No longer does saving money mean forgoing quality. Discovery Litigation Services has powerful tools that provide visibility into our service levels. Our mission is to offer full-service litigation solutions at the click of a mouse. Discovery Litigation Services has simplified the process for you. We will build your A-list team. Discovery will supply the staff required to reach a resolution. We will supply you with high-quality document review attorneys experts in various eDiscovery Software platforms who fully understand the discovery process from years of firsthand experience. Our solutions are stronger and more inclusive. Discovery Litigation Services provide you with highly qualified paralegals, project managers, translators, and coders. We will even provide meeting rooms in most cities across the country at no additional cost. Discovery Litigation Services operates on a higher level providing you with the advanced tools, services, solutions, and expertise you require.